After our first night in Tokyo we caught a train to Hakone. It reminded me of the gorges at home. 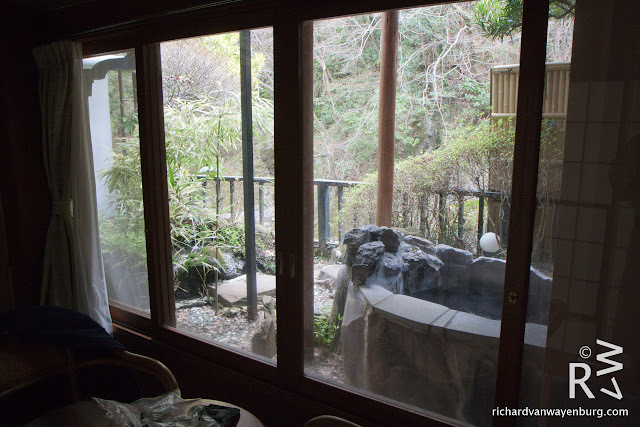 We stayed in a Ryokan that was nestled in the valley up in the hills. Our room looked out onto a private hot tub made of smooth stone that sat looking up the river. Using our handy JR Pass we caught a bus up the hill and around to Lake Ashi. 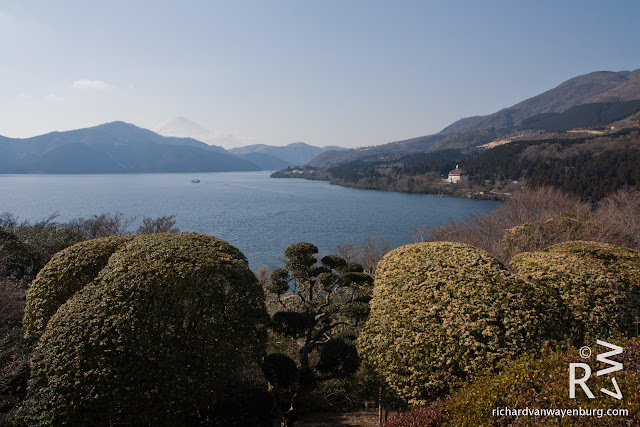 Here you get a view of the peak of Mt Fuji and can explore the lakeside. 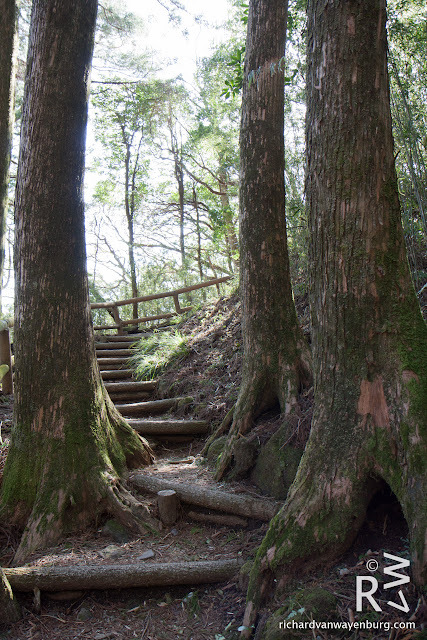 On the way around the lake is an old checkpoint 'Hakone Sekisho'. 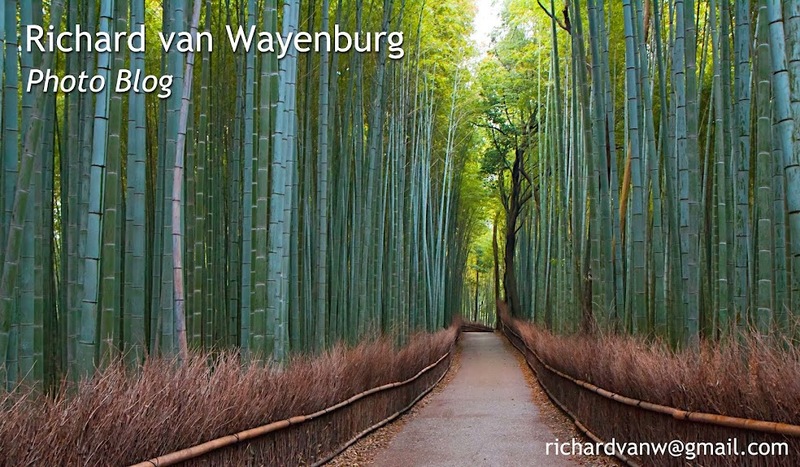 It was settled in 1619 and was one of the biggest and most important of 53 checkpoints throughout Japan. Its main purpose was to control arms entering Edo and stop women attempting to escape Edo. Its a cheap entry fee and an easy walk from the bus stop. What was handy was that the bus announced the stop was for the pirate ship so we knew where to get off. Wandering around the river will get you to this manicured garden with great views of the lake and on a good day you can see Mt Fuji. After the garden and the museum house thing up there you head down to the road. Here you can walk through the Cedar Avenue. We walked lake side then crossed into the Cedar walkway. 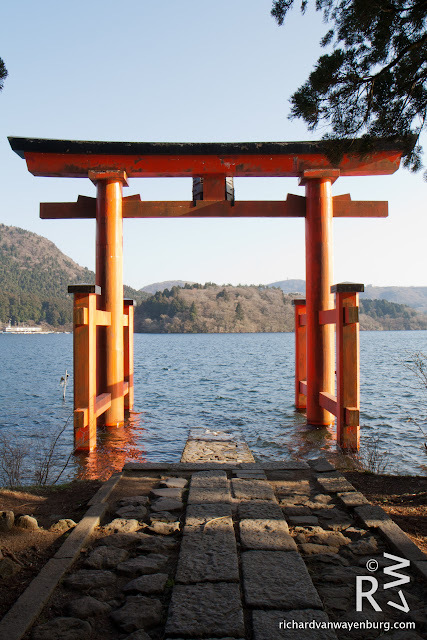 Eventually we got to the Hakone shrine that can be seen from the other side of the lake.